Researchers claim nations have plenty of opportunities to meet demands for marine protein. WORLDWIDE — Countries around the world can increase production of manufactured seafood and comfortably meet the world’s increasing demand for seafood without having to occupy large swaths of the oceans’ surface, according to a study recently published by a group of researchers and scientists from U.C. Santa Barbara, UCLA, Nature Conservancy and the National Oceanic and Atmospheric Administration (NOAA). The study, published in “Nature, Ecology and Evolution” on Aug. 14, made a strong case for countries to actively pursue marine aquaculture interests as part of an international effort to keep up with forecasted growth in seafood consumption. Wild fisheries, the study hinted, would unlikely be able to keep up with the increasing worldwide demand for seafood. 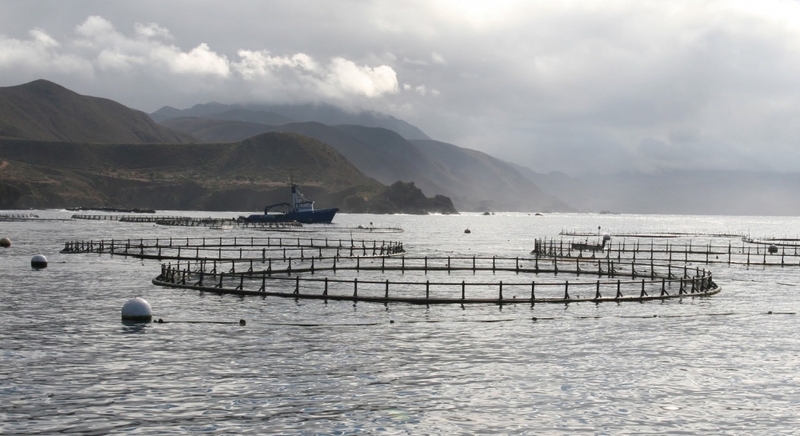 Scaling aquaculture farms to meet increasing global demand for marine proteins does not have to come with a large footprint, according to the study. Producing seafood in the open ocean would be more efficient than similar efforts on land, according to the study. “The majority of existing aquaculture takes place on land, in freshwater and in near-shore marine waters. However, problems, such as high resource use, pollution and habitat destruction have created a generally negative reputation for aquaculture in several countries and pose challenges for continued expansion,” the study stated. “Open-ocean aquaculture appears to have several advantages over the more traditional culturing methods, including fewer spatial conflicts and a higher nutrient assimilation capacity, highlighting the opportunities for sustainable marine development,” the study continued. Researchers, however, stated they must still determine whether adaptive measurement practices and other sustainability elements would be in place to allow large-scale open-ocean aquaculture farms to become common. Nonetheless the collaborative study maintained marine aquaculture was an opportunity worth pursuing to address growing populations, increased seafood demand and peaking wild fishery catches. The world’s population is forecast to reach 10 billion people by 2050, according to the report, likely increasing the pressure of food systems to regularly produce and delivery animal protein. “Momentum is building to look towards marine aquaculture to meet the growing protein demand,” researchers stated. “The relative sustainability of marine aquaculture compared with land-based meat production and the human health benefits of diets rich in fish make it even more pressing that we consider aquaculture’s potential. “Oceans represent an immense opportunity for food production, yet the open ocean environment is largely untapped as a farming resource,” the study’s researchers continued.